Machine Turns Regular Candy Into Cotton Candy | OhGizmo! I’ve seen cotton candy makers in specialty kitchen stores before but I’ve never bothered buying one. The machines usually needed special order packages for you to make the cotton candy that it was easier to just find a store or local fair that sold it. 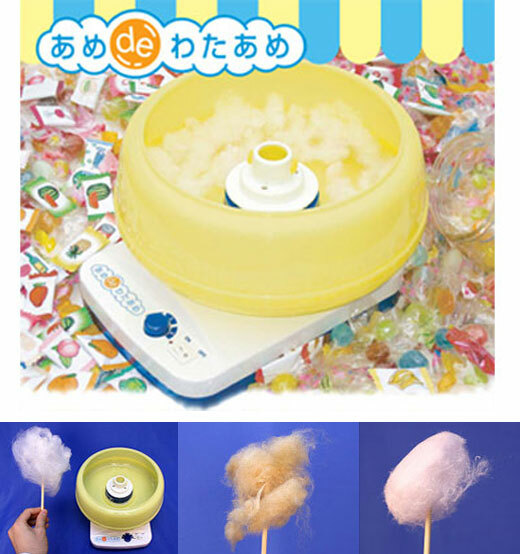 This machine however, can take a variety of hard candies, like Jolly Ranchers, and turn them into cotton candy. The best part is that you could make cotton candy in any flavor imaginable. It is a little pricey($159 USD) but if you have a constant craving for cotton candy then this might be your dream machine. Note that OhGizmo is not responsible for any tooth decay. You know, you dont actually need to order special ingredients in to make fairy floss/ cotton candy…it's quite simply sugar!!! (and dye if you want color). This does however look fun! !